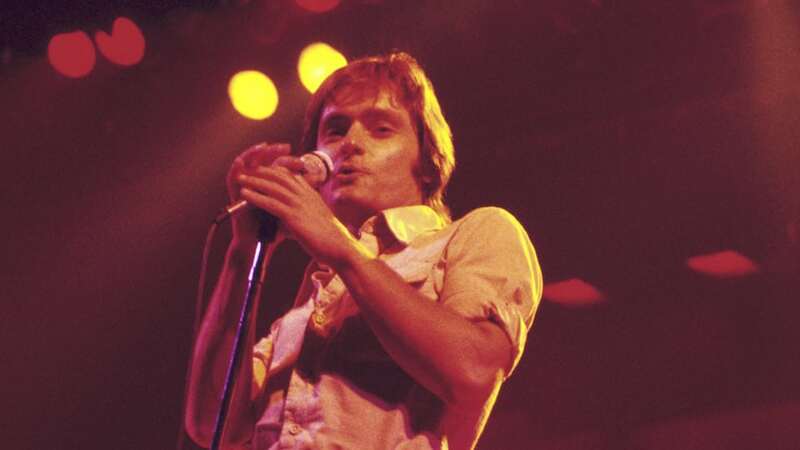 We lost a lot with the passing of Marty Balin. The Jefferson Airplane singer-songwriter, who left us on Sep. 27 at the age of 76, was a pioneer of the ’60s Bay Area psychedelic scene. That’s the way most people think of him, but Balin’s artistry can’t be pigeonholed so easily. Besides brain-bending psychedelic rock, over the years Balin had his hand in folk, pop, old school rock n’ roll, and more. The one common thread linking everything he laid his hands on was that one-in-a-million voice, the kind of instrument that lesser singers would gladly fork over their souls to obtain. Born Martyn Buchwald, Balin was a Jewish kid from Cincinnati who started recording as early as 1962, cutting a couple of rock ‘n’ roll singles for Challenge, the L.A. label that gave the world records like The Champs’ “Tequila.” For the next couple of years after that, like a lot of his contemporaries who would become key players in the ’60s rock scene, he was crooning folk tunes. He recorded as part of a folk group called The Town Cryers before defecting to the rock side of the fence and founding Jefferson Airplane in 1965. In fact, Balin was a partner in the seminal San Francisco rock club The Matrix, where the band played its first show. The fact that the venue even predated the fabled Fillmore underscores how much Balin had to do with getting the San Francisco scene off the ground. Though his co-lead vocalist Grace Slick got more attention as the singer on the Airplane’s two biggest (and only) hits, “White Rabbit” and “Somebody to Love,” Balin was arguably a greater force in the band, contributing more songs to their canon. And what songs they were — delicate ballads like “Today” and “Comin’ Back to Me” achieved a grace and poignancy unmatched by any of Jefferson Airplane’s peers. But Balin could also bust out a blazing rocker with the best of them, like the barnstorming protest anthem “Volunteers” and the bluesy, sardonic “Plastic Fantastic Lover.” But whatever mode Balin was in, his golden pipes made every performance transfixing. Unendingly soulful, fluid, and shimmering, his voice was among the very finest of his generation, and he knew exactly how to employ it for maximum impact whether he was trying to blow down your door or whisper secrets in your ear. That vocal gift remained regardless of the setting. After leaving the Airplane at the start of the ’70s, Balin formed the short-lived Bodacious DF, delivering some typically stellar vocals on their lone, self-titled album, before finally rejoining his old bandmates in 1975 under the Jefferson Starship banner. In the new incarnation, it was Balin who contributed the hits. His songs “Miracles” and “With Your Love” became ubiquitous on ’70s radio — lush, velvety tunes that dovetailed perfectly with the pop aesthetic of the era but bore an uncommon classiness and beauty that still translates today. Balin left the band before the end of the decade, and in the early ’80s, he started a solo career that basically picked up where his Starship hits left off. His biggest solo success came at the beginning, with 1981’s “Hearts,” a Top 10 single that brought Balin’s knack for romantic balladry into a new era. He continued to release solo material for the rest of his life. But after a brief sojourn in the mid-’80s with old Airplane pals Paul Kantner and Jack Casady as The KBC Band, he ended up working with the reconstituted Jefferson Starship again in the ’90s and 2000s. Balin had some major health issues in 2016, and the cause of his death hasn’t been revealed. But it’s clear to everybody who ever laid ears on his music exactly how much he gave to the world, and how much he’ll be missed.